The Sign and the Sacrifice: The Meaning of the Cross and Resurrection. New Zealanders Respond to the Earthquakes of November 2016. Reconnecting With Beauty for Our Common Life. 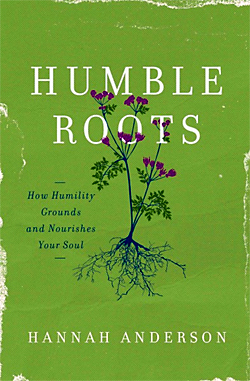 How Humility Grounds and Nourishes Your Soul. How Mindfulness and Compassion Can Free You from Your Inner Critic. Take Control of Your Life and Master Depression. Creative Coloring And Hand Lettering. 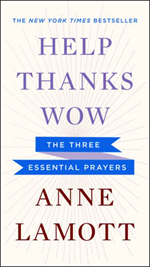 Lamott writes about the three simple prayers essential to coming through tough times, difficult days and the hardships of daily life. 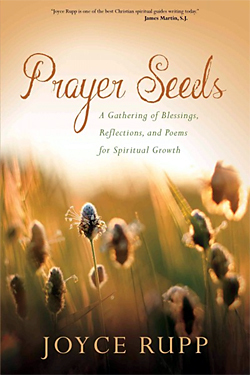 It is these three prayers – asking for assistance from a higher power, appreciating what we have that is good, and feeling awe at the world around us – that can get us through the day and can show us the way forward. 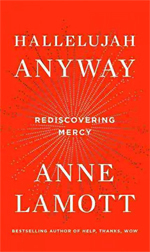 Lamott recounts how she came to these insights, explains what they mean to her and how they have helped, and explores how others have embraced these same ideas. 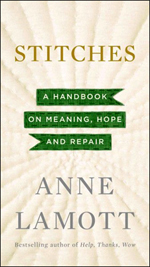 These questions lie at the heart of Stitches, Lamott’s profound follow-up to her New York Times-bestselling Help, Thanks, Wow. 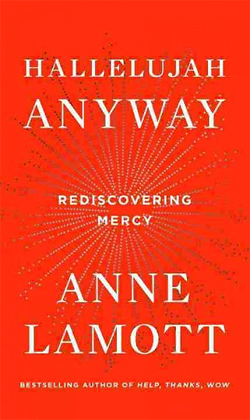 Lamott explores how we find meaning and peace in these loud and frantic times; where we start again after personal and public devastation; how we recapture wholeness after loss; and how we locate our true identities in this frazzled age. We begin, Lamott says, by collecting the ripped shreds of our emotional and spiritual fabric and sewing them back together, one stitch at a time. 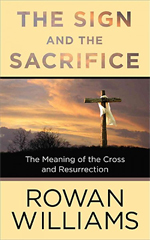 Rowan Williams, former Archbishop of Canterbury, presents the Gospel accounts of Jesus’ crucifixion and resurrection as viewed through the eyes of those who witnessed them. 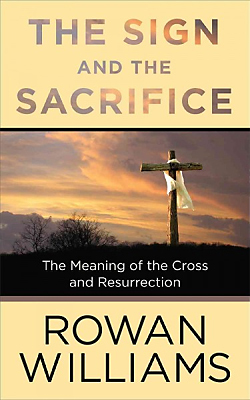 He explores the meaning of the cross and the significance of Christ’s resurrection, discussing what these events meant to Jesus’ followers in the early years and what they can say to us today. Five hundred years ago an obscure monk challenged the authority of the pope with a radical vision of what Christianity could be. The revolution he set in motion inspired one of the most creative and destructive movements in human history. It has toppled governments, upended social norms, and transformed millions of people’s understanding of their relationship with God. 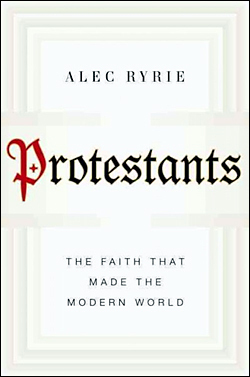 In this dazzling global history, Alec Ryrie makes the case that Protestants made the modern world. 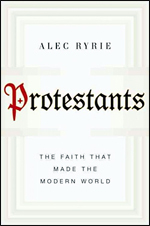 Protestants introduces us to the men and women who defined and redefined this quarrelsome faith. Some turned to their newly accessible bibles to justify bold acts of political opposition, others to support a new understanding of who they were and what they could and should do. Above all, they were willing to fight for their beliefs. Described by Geonet as one of the most complex earthquakes ever observed, Radio New Zealand’s Vicky McKay was first to report on its violence, broadcasting live in the Wellington studio when 7.8 arrived by stealth at 12.02am. As intermittent reports came in from as far north as Auckland and south to Gore, confusion reigned and New Zealanders were asked to turn on public radio for live updates. Reporters for our national broadcaster scrambled – and leading the way was veteran journalist Phil Pennington, part of the first team to arrive in the damage zone. 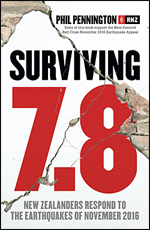 Surviving 7.8 relives the drama from the moment it struck to the remarkable, horrifying, yet fascinating events that followed, and the typically Kiwi response to a disaster of unbelievable scale. Throughout the narrative are quotes, tweets, Facebook posts and stories from everyday New Zealanders – the immediate reaction, the uncertainty, the turmoil, to the roll-your-sleeves-up, let’s-get-on-with-it, do-it-yourself attitude that defines our heartland. Contributions from the sale of this book will go to the Red Cross Kaikoura Earthquake appeal. Simply Good News: Why the Gospel Is News and What Makes It Good. Now in Paperback. N.T. (Tom) Wright. Pbk 211pp. ISBN 9780062334350. Harperone (2017). $34.00. [Allow 4 weeks]. Noted Bible scholar N.T. 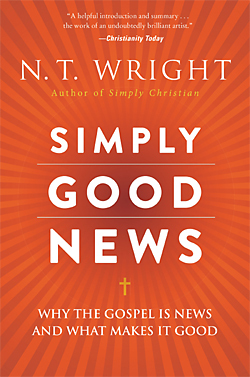 Wright shows us how Christians today have lost sight of what the “good news” of the gospel really is. In Simply Good News, he takes us back in time to reveal how the people of the first-century—the gospel’s original audience—would have received Jesus’ message. 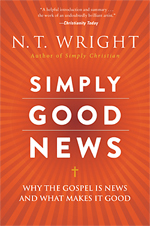 He offers a clear and thoughtful analysis of what the “good news” really is, and applies it to our lives today, revealing its power to transform us. Culture Care: Reconnecting With Beauty for Our Common Life. Makoto Fujimura. Pbk 158pp. ISBN 9780830845033. IVP Books (2017). $34.00. [Allow 2-3 weeks]. Painter and speaker Makoto Fujimura issues a call to cultural stewardship, in which we become generative and feed our culture’s soul with beauty, creativity, and generosity. We serve others as cultural custodians of the future. He invites readers to support the arts as a source of hope in a world starved for beauty. In prose addressed to Christian believers but hospitable to others, he offers an impassioned plea for attentiveness to the arts, encouraging readers to become patrons and producers of art, not mere consumers. 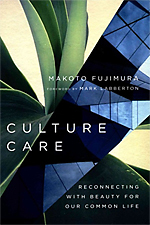 Fujimura contends that culture today is utilitarian, reductionist, and consumerist, replete with dehumanizing ugliness. In contrast to this, he says, Christians are responsible for seeking after and supporting beauty, and rather than engaging in “culture wars,” Christians should engage in “culture care” by attending to the capacities that make it possible for art and beauty to flourish. 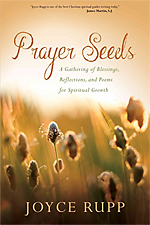 Includes a study guide for individual reflection or group discussion. 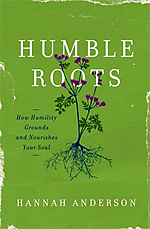 Humble Roots: How Humility Grounds and Nourishes Your Soul. Hannah Anderson. Pbk 205pp. ISBN 9780802414595. Moody (2016). $28.00. [Allow 2-3 weeks]. Feeling worn thin? Come find rest. The Blue Ridge Parkway meanders through miles of rolling Virginia mountains. It’s a route made famous by natural beauty and the simple rhythms of rural life. 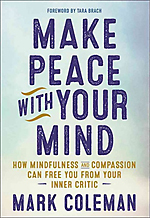 Make Peace With Your Mind: How Mindfulness and Compassion Can Free You from Your Inner Critic. Mark Coleman. Pbk 238pp.ISBN 9781608684304. New World Library (2016). $33.00. [Allow 2-3 weeks]. The inner critic is the voice inside our heads reminding us that we are never “good enough.” It’s behind the insidious thoughts that can make us second-guess our every action and doubt our own value. The inner critic might feel overpowering, but it can be managed effectively. 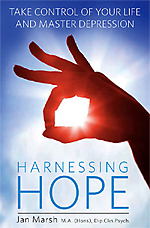 Harnessing Hope: Take Control of Your Life and Master Depression. Jan Marsh. Pbk 160pp. ISBN 9781925335019. Exisle (2016). $16.99. [Allow 3 weeks]. Offering real hope to those suffering from depression, Marsh explains depression in approachable language and shows how simple lifestyle changes can make a difference. 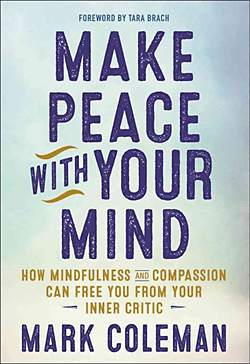 The author takes a holistic approach, addressing mind, body and spirit through tips on physical wellbeing, insights into the habits and beliefs that shape our moods, and ways to keep sight of the bigger picture through mindfulness practices. She also explains how these strategies can be used alongside other treatments to provide an empowering process that is tailored to each individual. How Did We Get into This Mess? : Politics, Equality, Nature. George Monbiot. Pbk 352pp. ISBN 9781786630780. Verso Books (2017). $34.00. [Allow 2-3 weeks]. 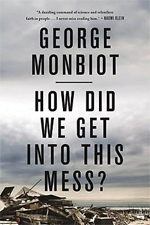 Monbiot assesses the state we are now in: the devastation of the natural world, the crisis of inequality, the corporate takeover of nature, our obsessions with growth and profit and the decline of the political debate over what to do. Controversial, clear but always rigorously argued, he makes a persuasive case for change in our everyday lives, our politics and economics, the ways we treat each other and the natural world. 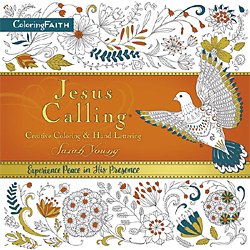 Jesus Calling: Creative Coloring And Hand Lettering. Sarah Young. Pbk 112pp. ISBN 9780718091262. Thomas Nelson (2017). $33.00. [Allow 2-3 weeks]. 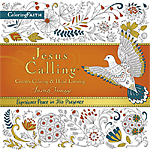 Enjoy peace in the presence of the Saviour as you relax and reflect on the words of Jesus Calling through this gorgeous new colouring and lettering book. The book includes quotes from Jesus Calling, 100 pages of intricate colouring designs, a tutorial and templates to learn basic hand lettering, and perforated pages. This new colouring book will remind you of Jesus’ still, quiet voice in the midst of a bustling world.